So that time of year has arrived again: Back to School! Every year students go into the beginning of the school term with the mindset that this year will be different, that this year they will stay on top of their work and study. The majority of the time this mindset lasts about 2 weeks. Why not keep this mindset going all year long? Over time we have discovered ways in which students can study smarter. Much of this has been achieved by developing online tools to incorporate into a student's study habits. Learning is and has always been a lifelong endeavor. With advanced technology, e-learning platforms are changing the way students learn. By providing readily available resources and tools for not only students but teachers as well, the site called ExamTime is changing and enhancing the ways individuals learn and engage themselves. These free online study tools help students make more out of their studying than ever before. ExamTime offers online Flashcards and Quizzes in addition to Mind Maps, for diagraming ideas, and Notes, for recording information all on one site. With more and more of our lives and time being spent online, these online tools give you the ability to create your own content along with the ability to access content from others as well. With the ability to share and collaborate your resources and group projects using online study groups, ExamTime's goal is to broaden, enhance, and expand your learning experience. But these online tools are not only for student use. ExamTime's study tools work perfectly in the classroom. Notes: Ability to put class notes into one place while also able to insert videos and images. We understand how difficult it might be to get students engaged in classrooms settings. That's why ExamTime's Quiz, Notes, and Mind Map tools were specifically designed in a way that makes it easy to turn classroom material into colorful presentations. By simply clicking the "play button" teachers can create interesting resources and presentations that will catch the attention of their students, making their learning experience that much more intriguing. 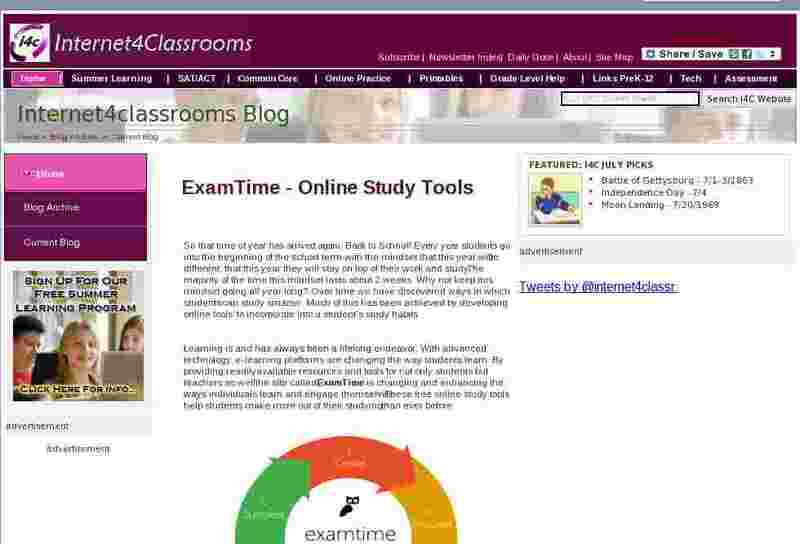 Kelly Fitzsimmons is a Digital Marketer with ExamTime.com. 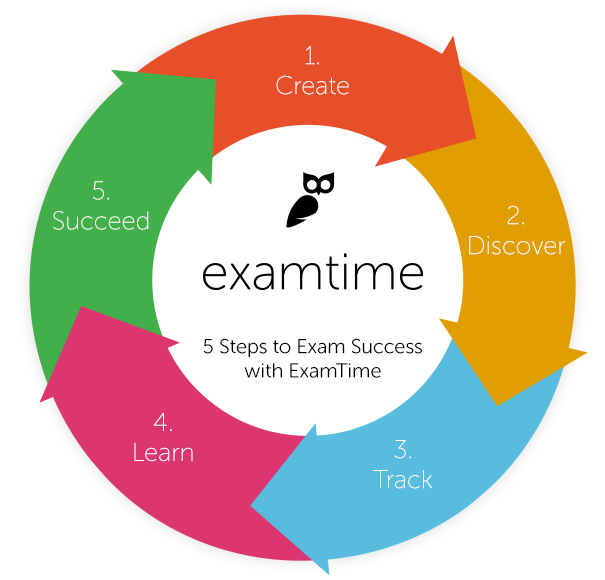 ExamTime is an all-inclusive online learning platform for teachers, students and anyone with the will to learn. ExamTime is a free product that will always remain free but there is an option to upgrade for additional features and more resource space.